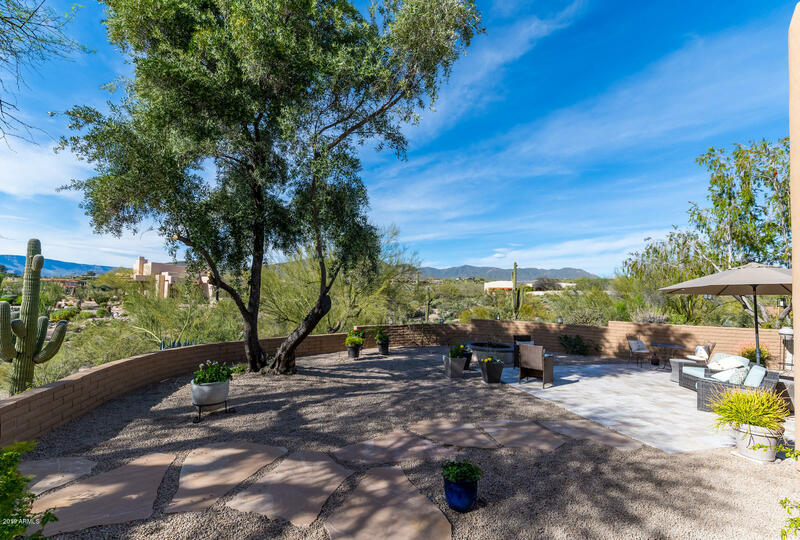 BACK ON MARKET with all new backyard. 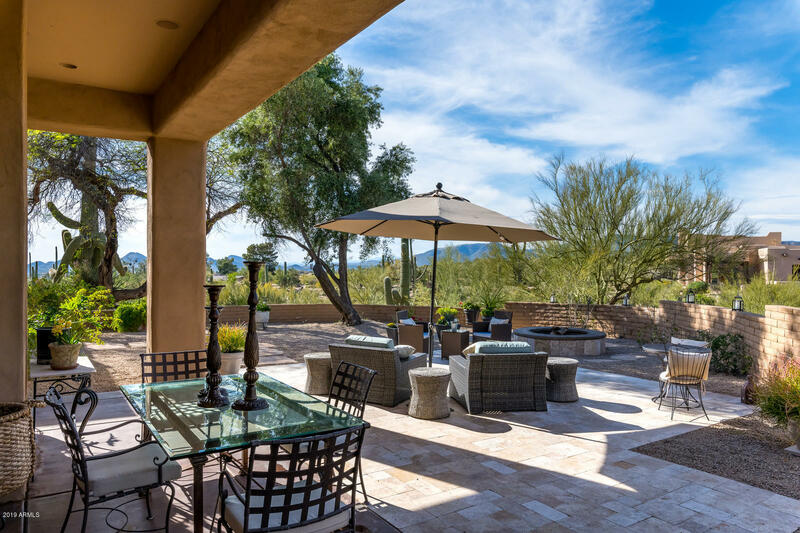 Designed for entertaining with endless view corridors and minimal landscape maintenance. 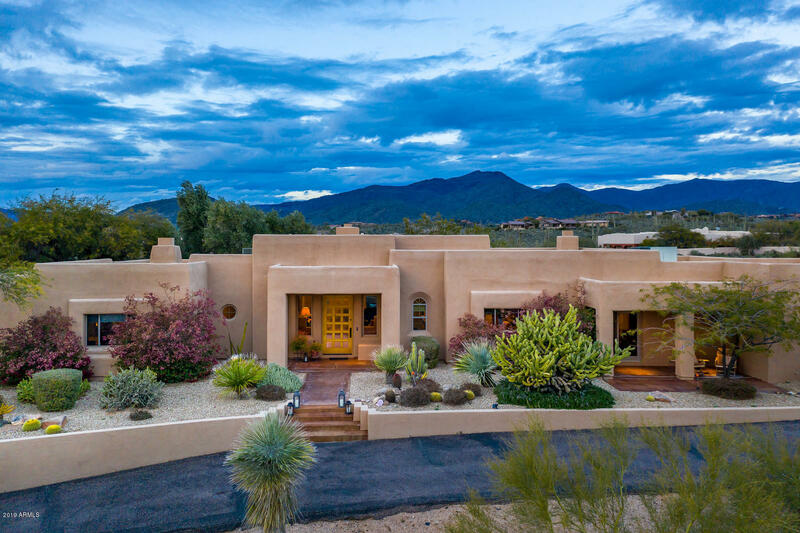 This custom Territorial home was completely remodeled in 2003 (down to the concrete slab & studs). 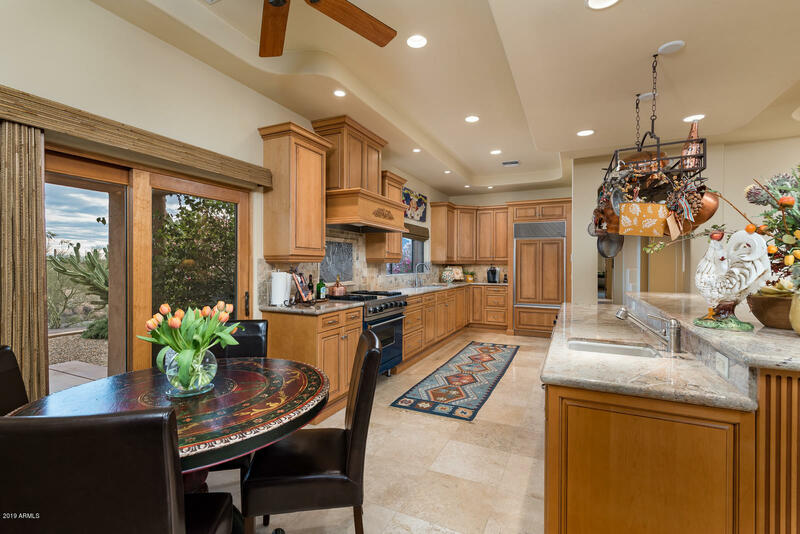 A very thoughtful design with a great room/split floor plan, a true chef's kitchen & family room. 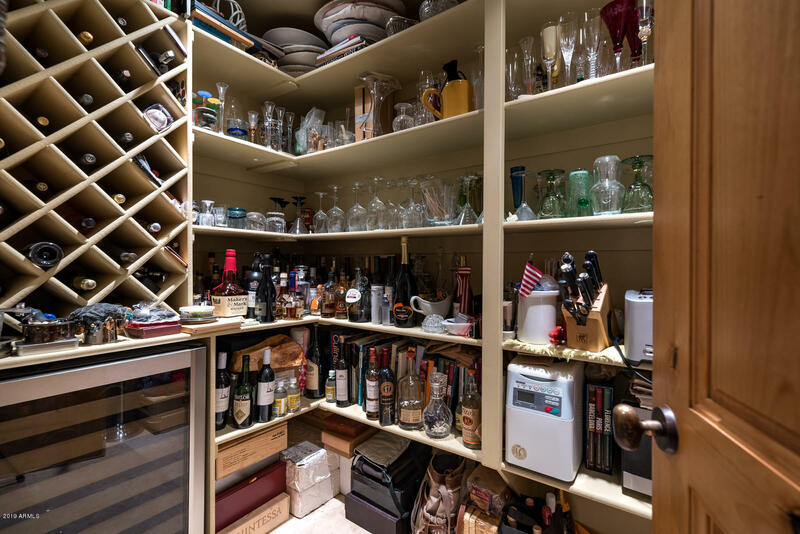 There is abundant storage throughout. 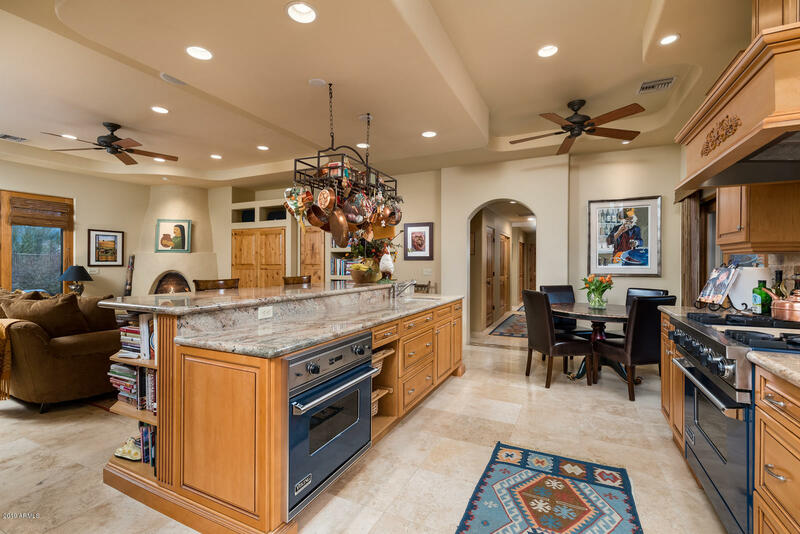 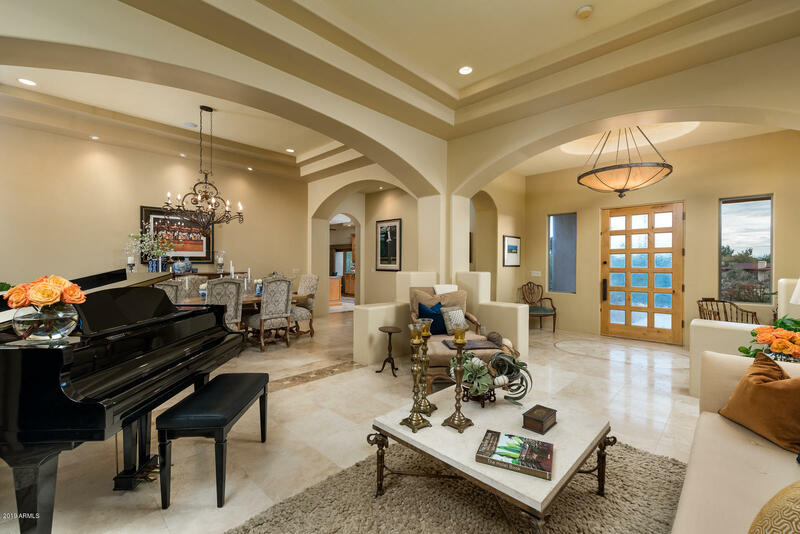 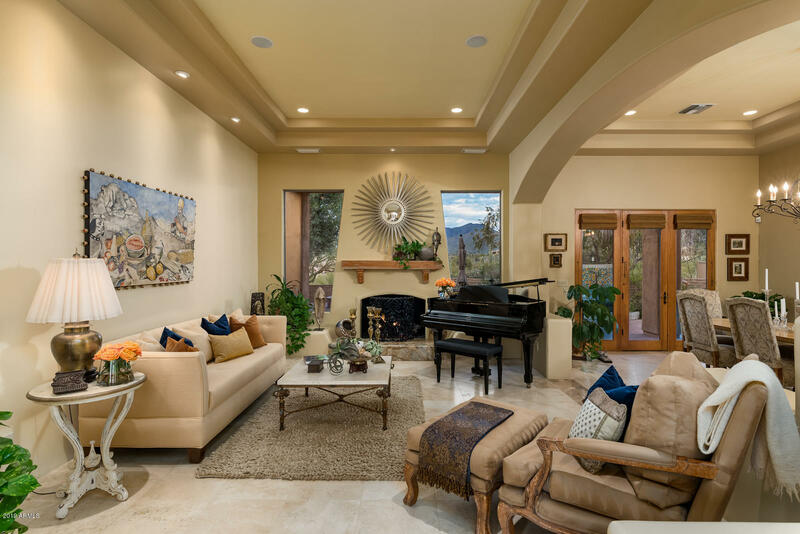 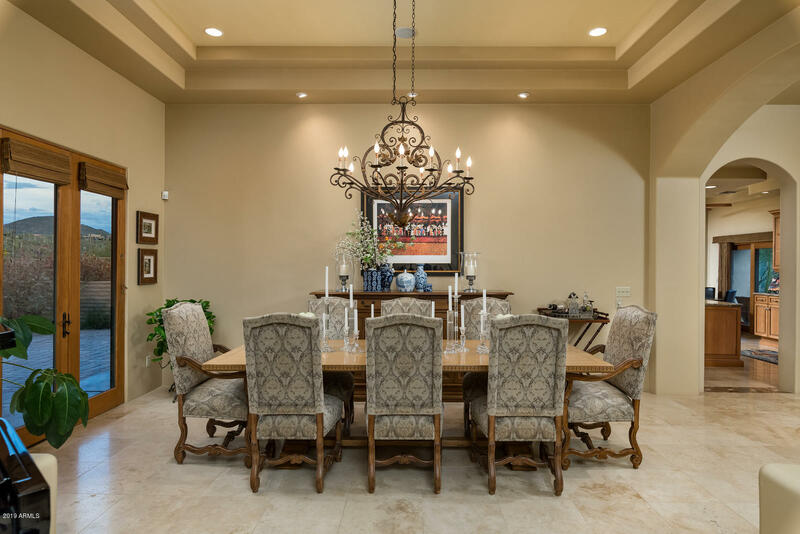 The open kitchen & family room was designed for entertaining. 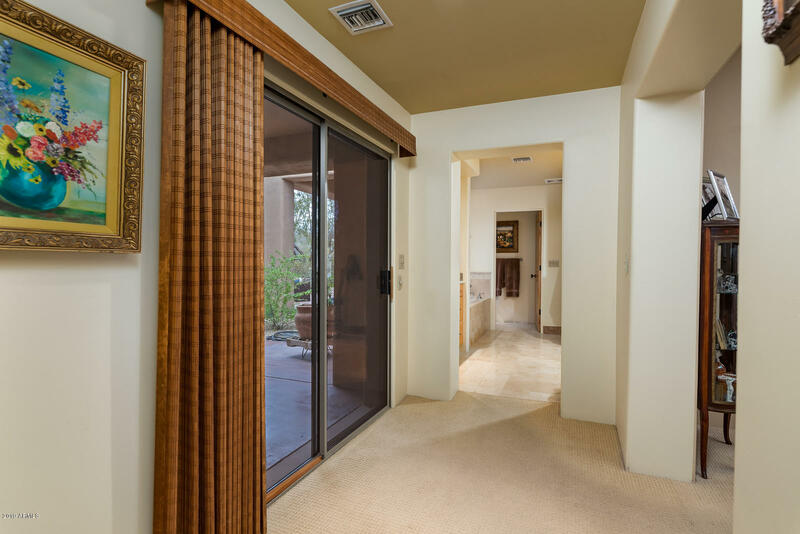 A spacious master wing has an oversized closet (approx. 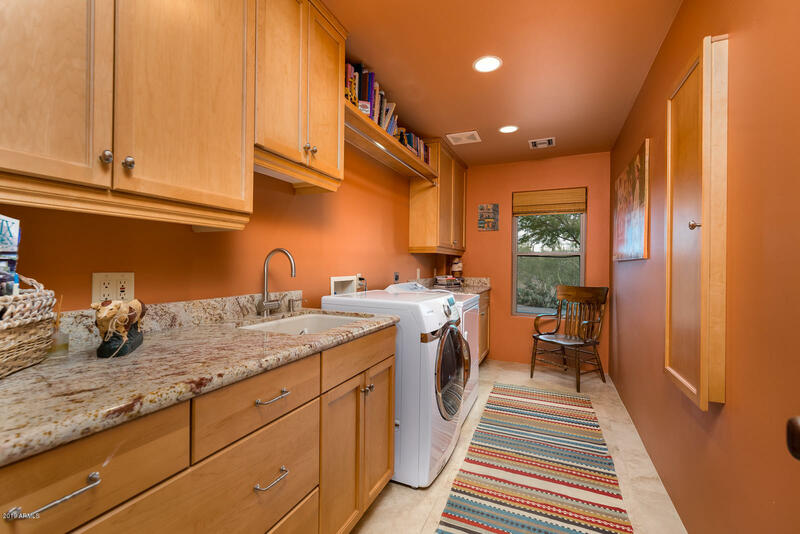 280 sq. 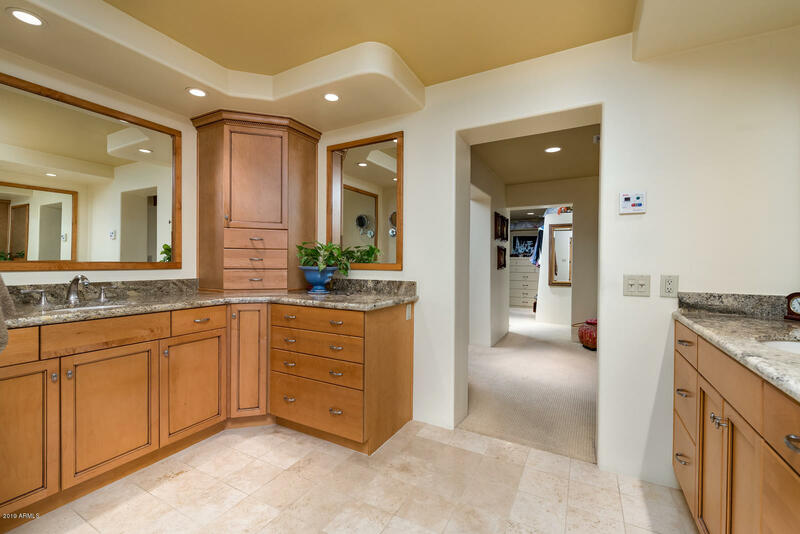 ft.!) 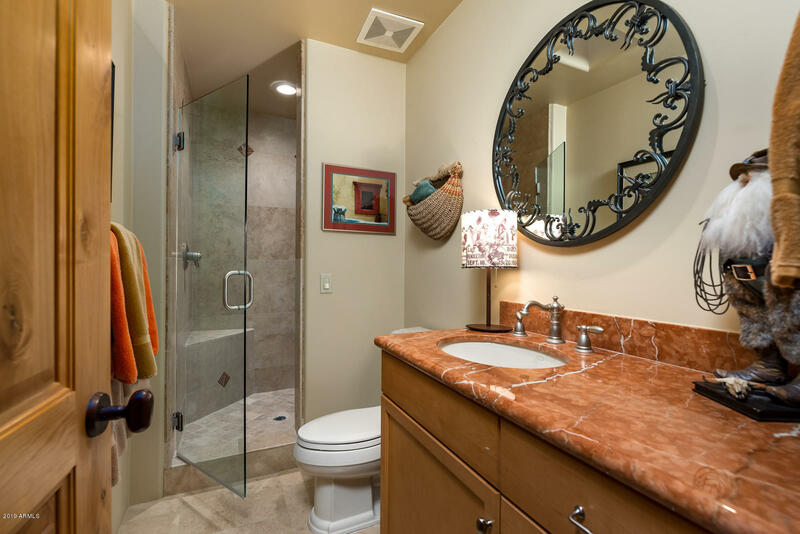 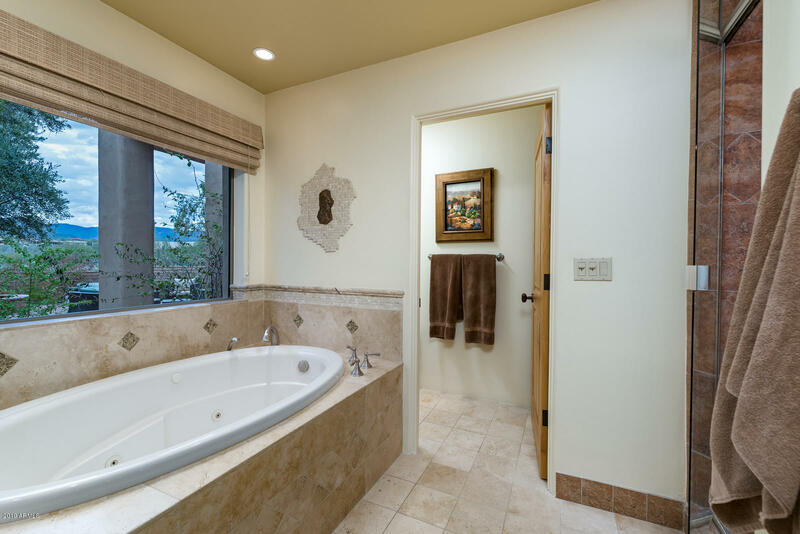 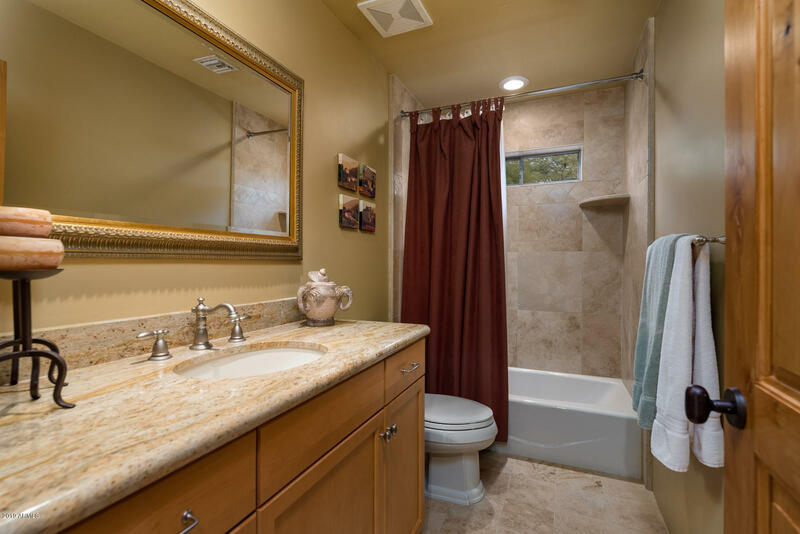 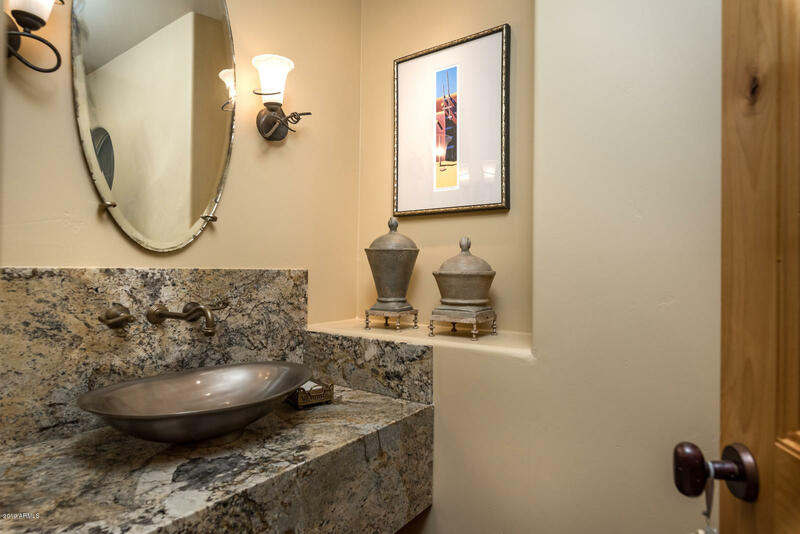 Dual vanities in the master bathroom with a walk in steam shower & jetted tub. 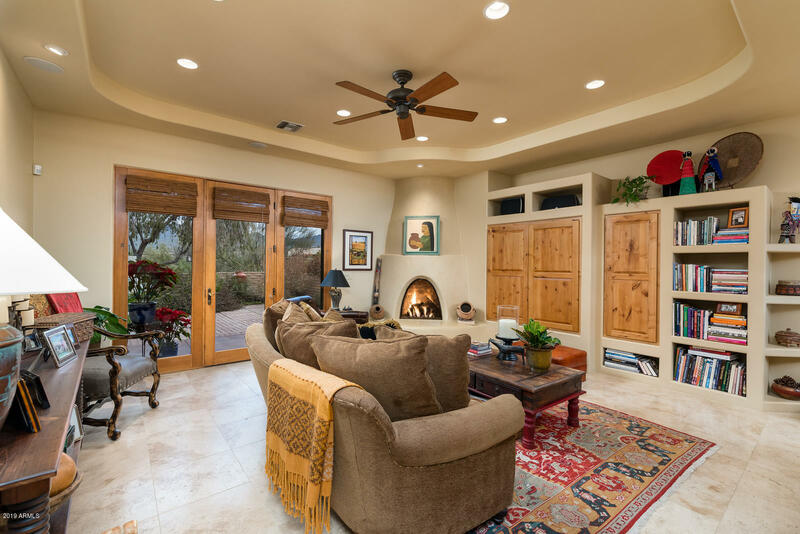 3 fireplaces inside & an exterior wood burning firepit. 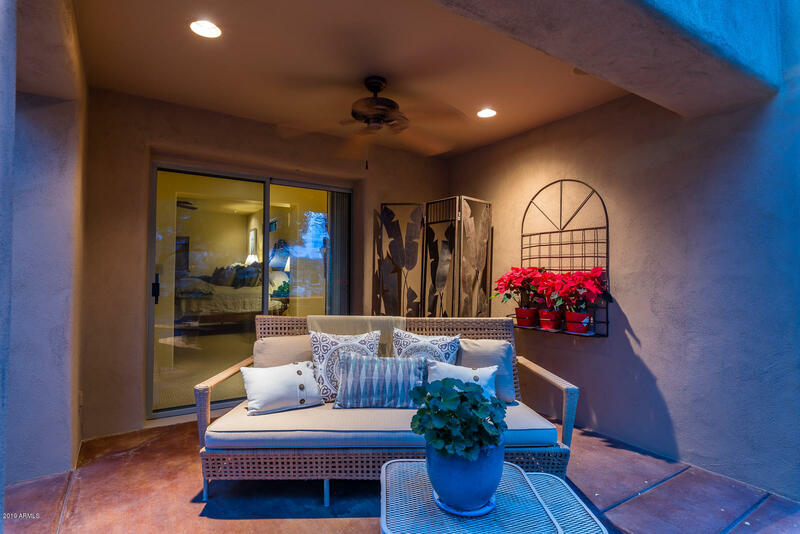 Every bedroom has a covered outdoor patio. 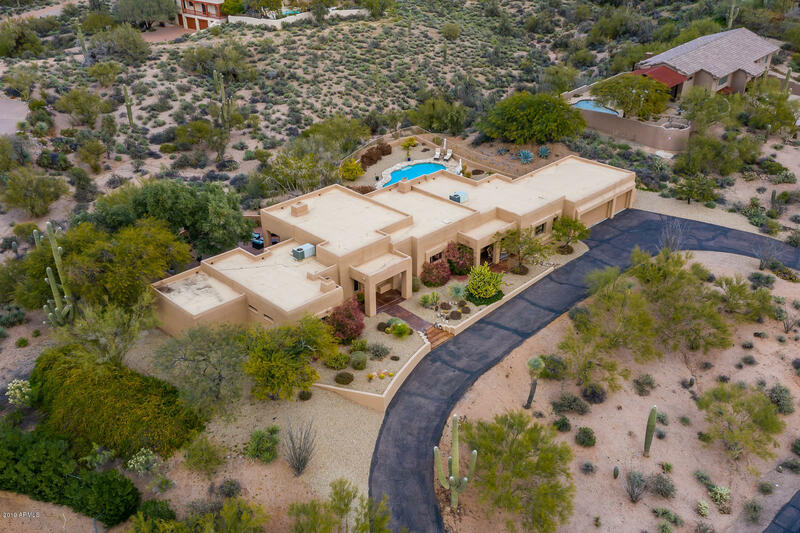 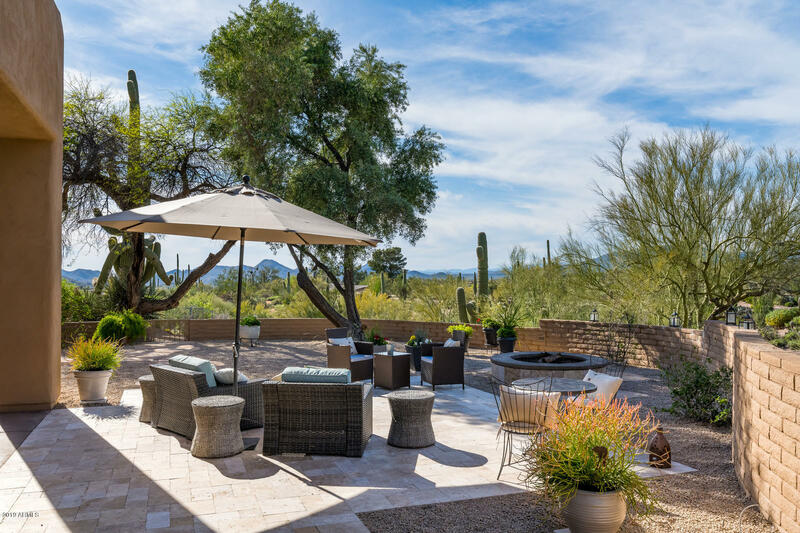 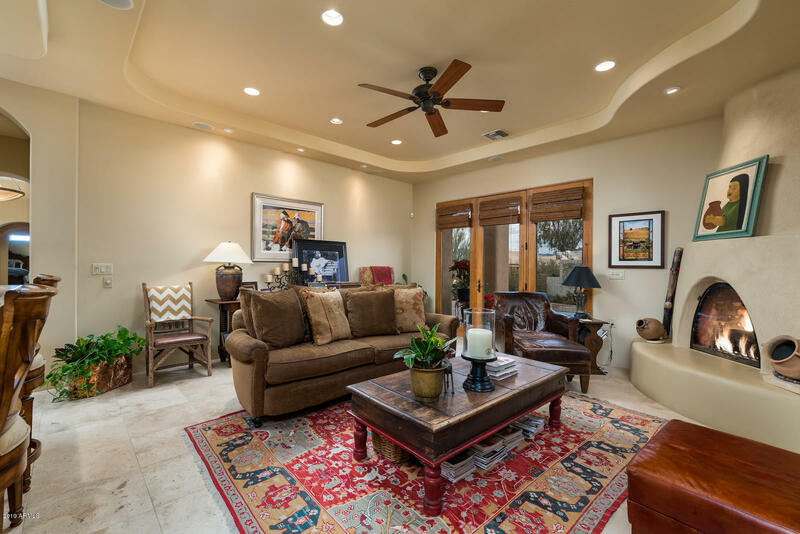 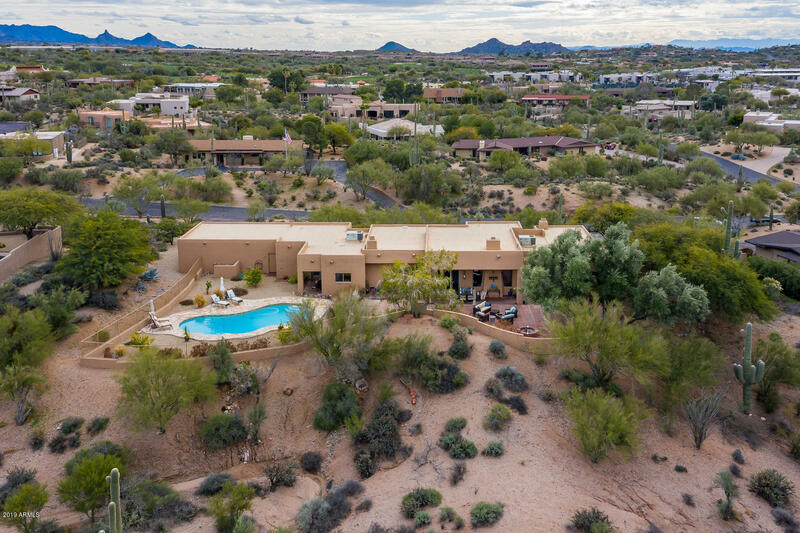 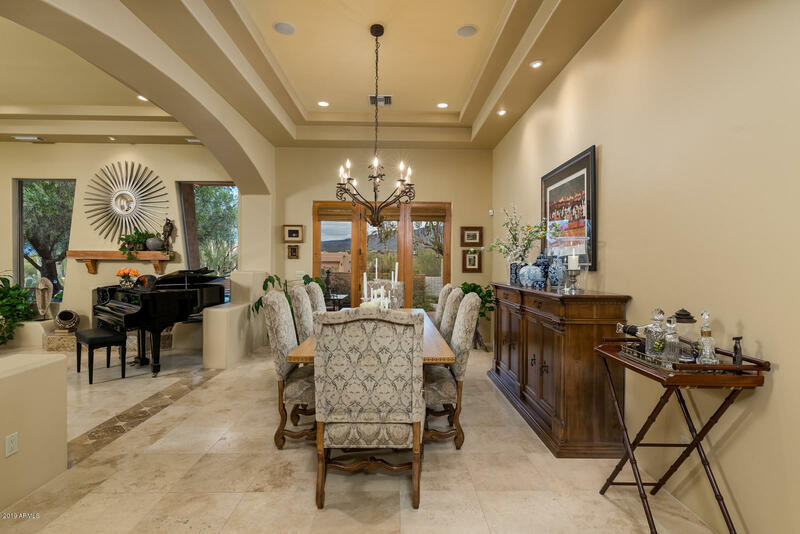 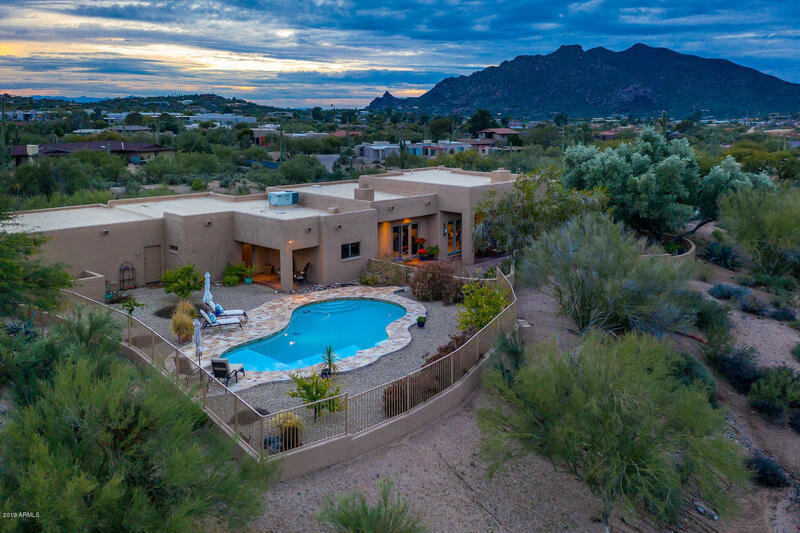 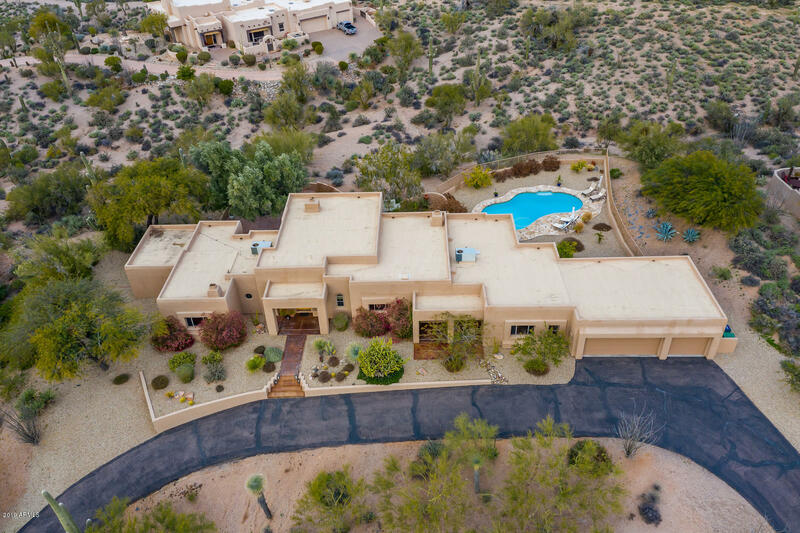 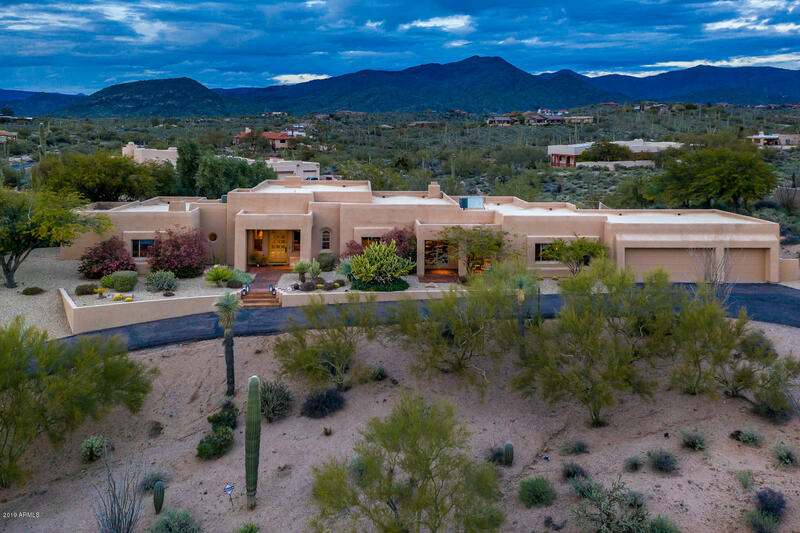 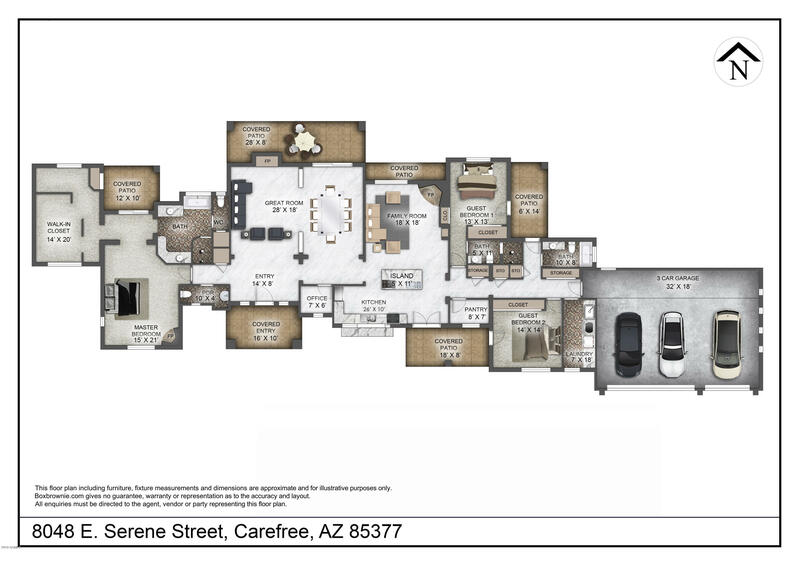 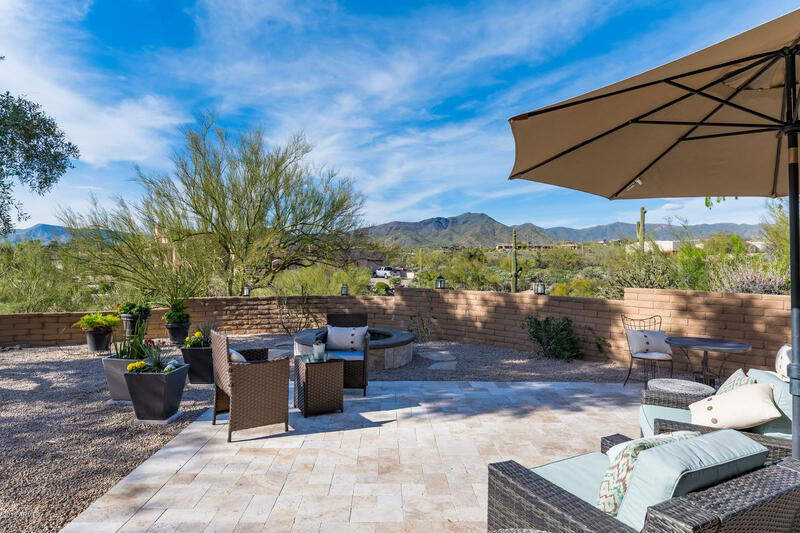 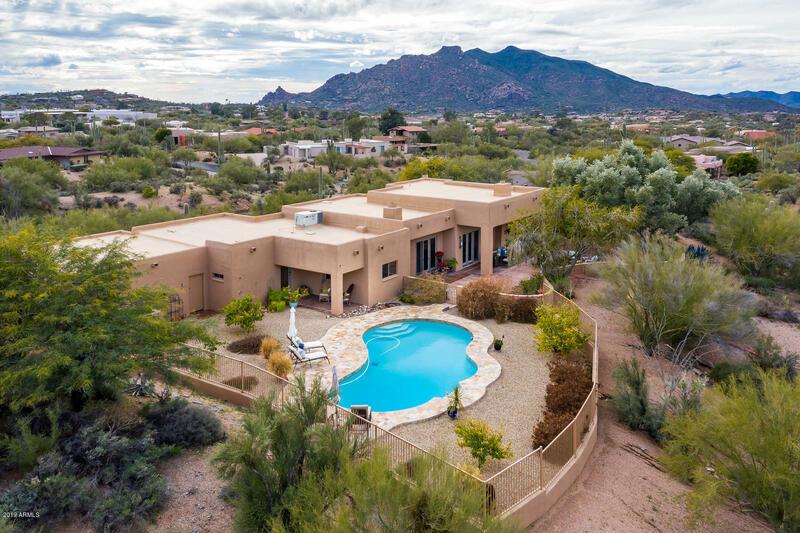 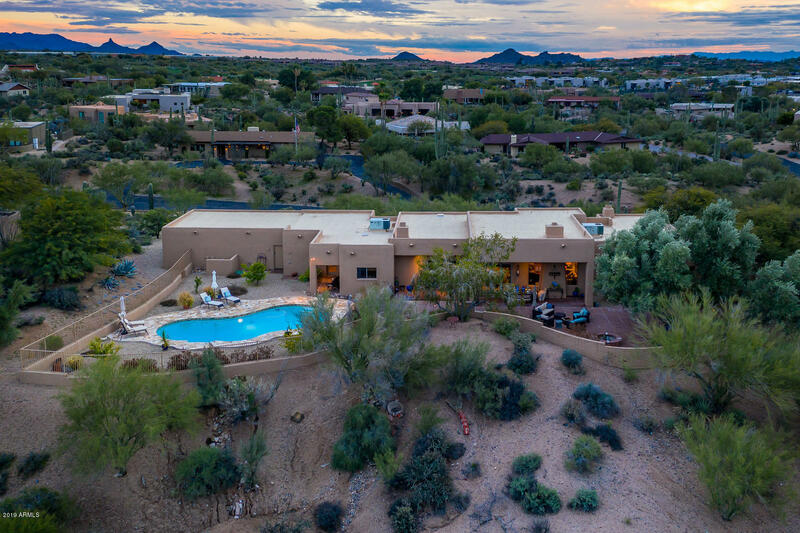 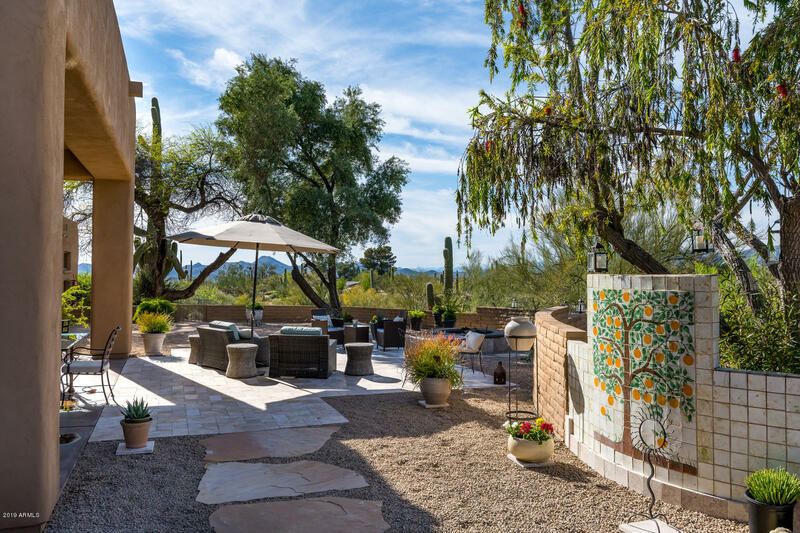 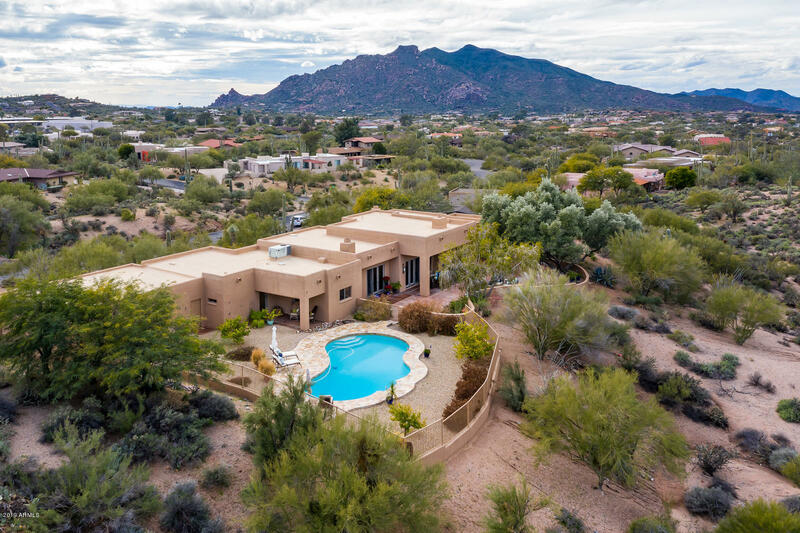 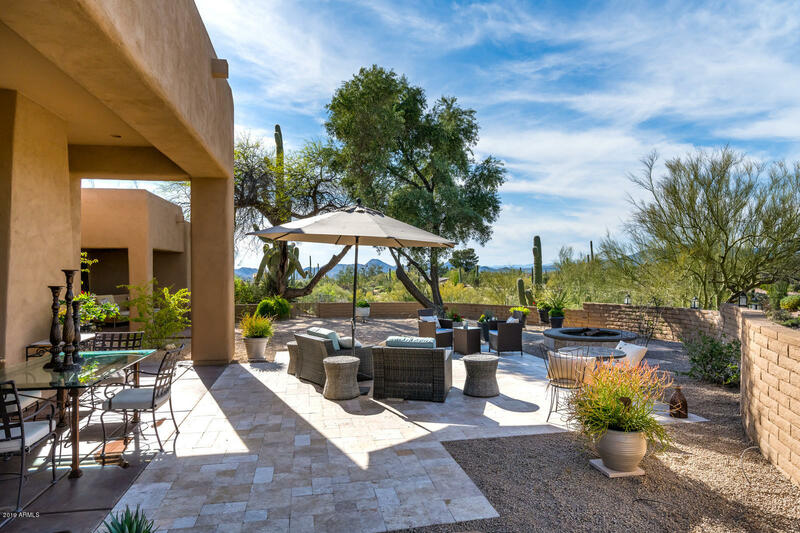 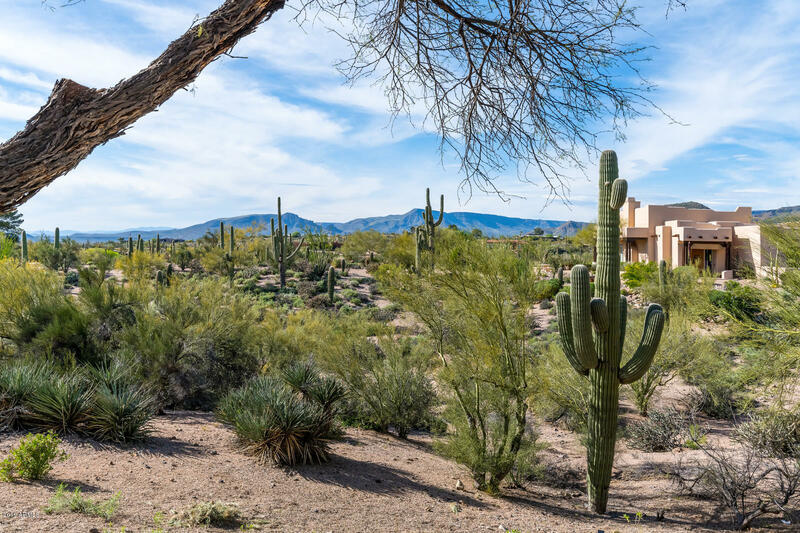 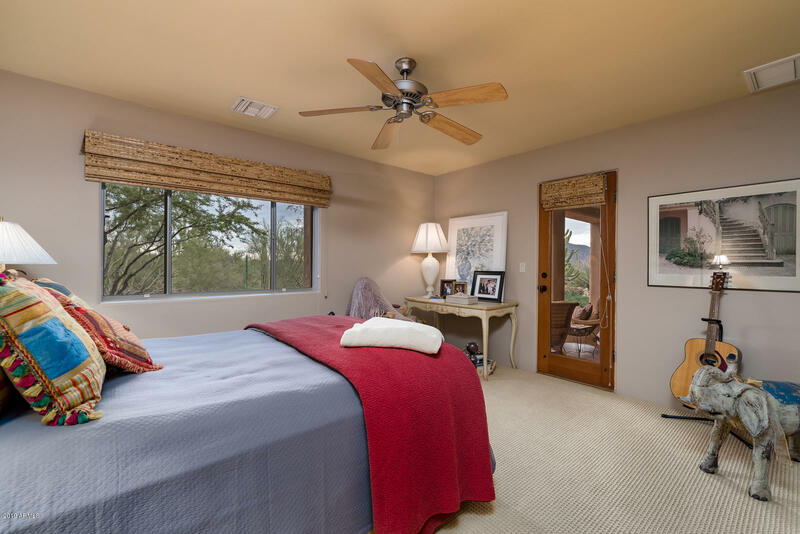 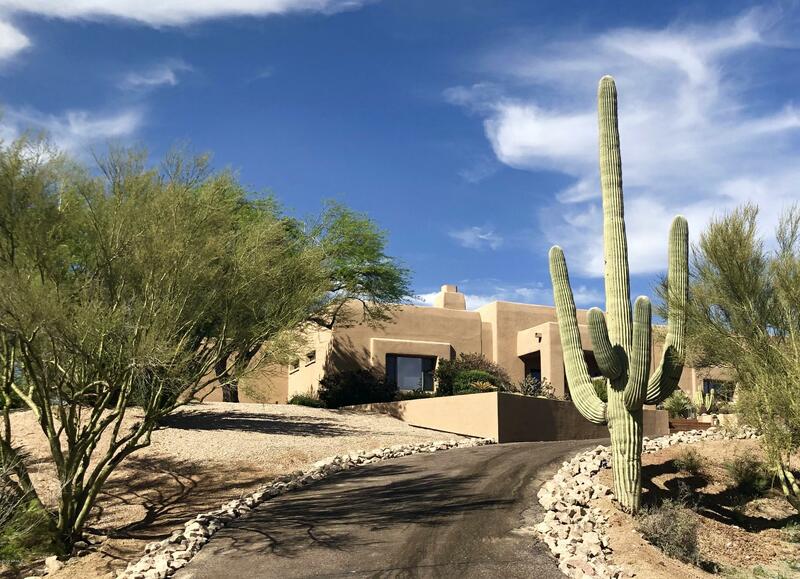 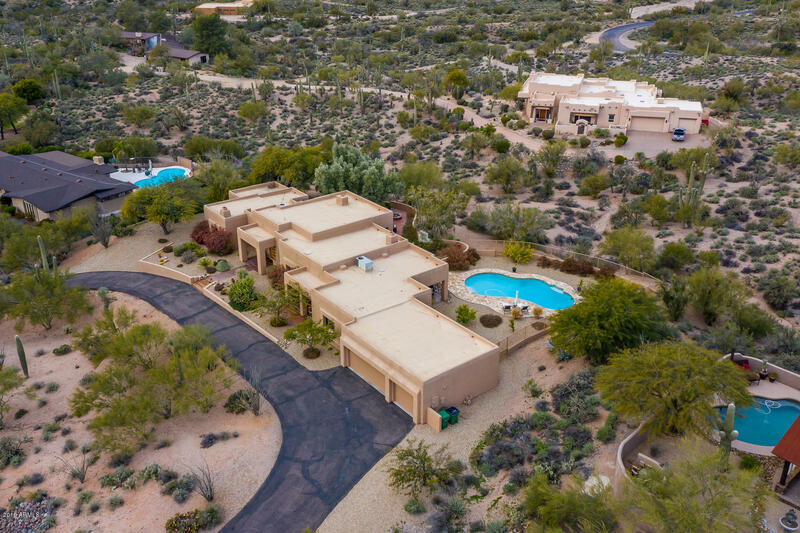 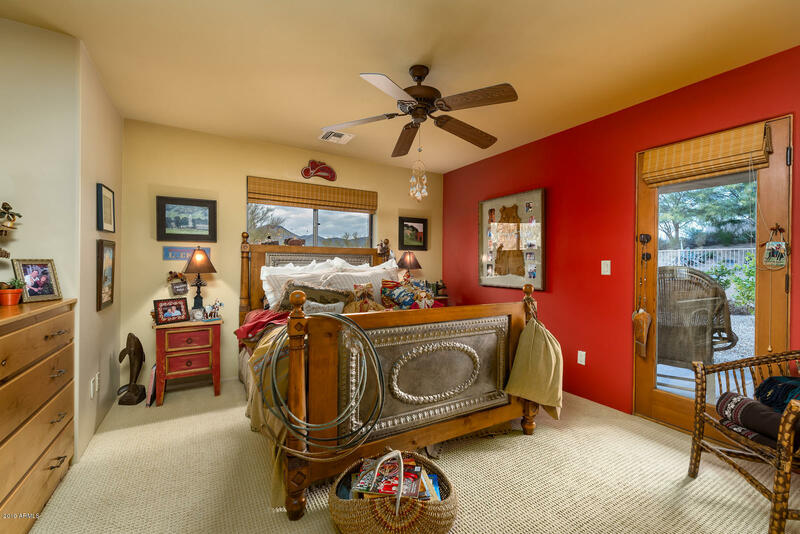 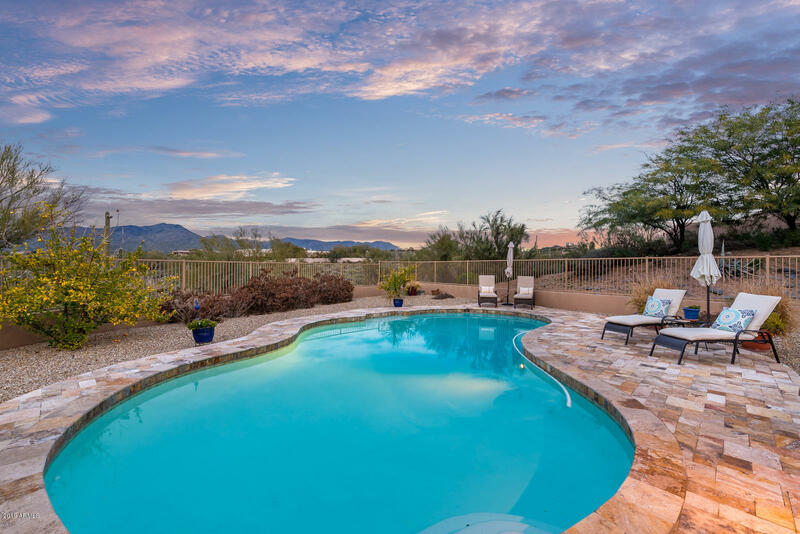 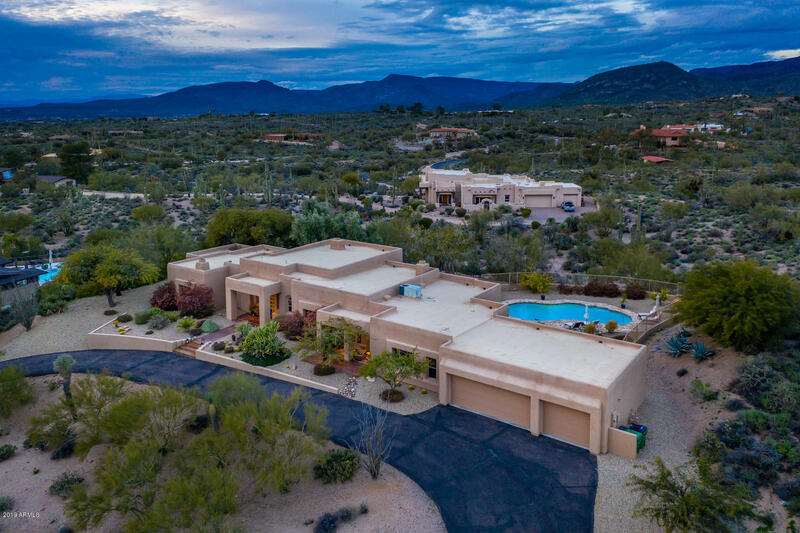 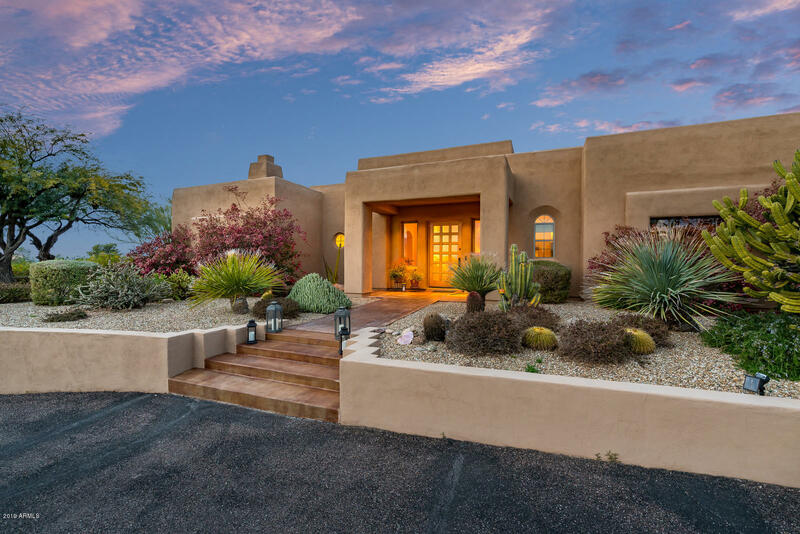 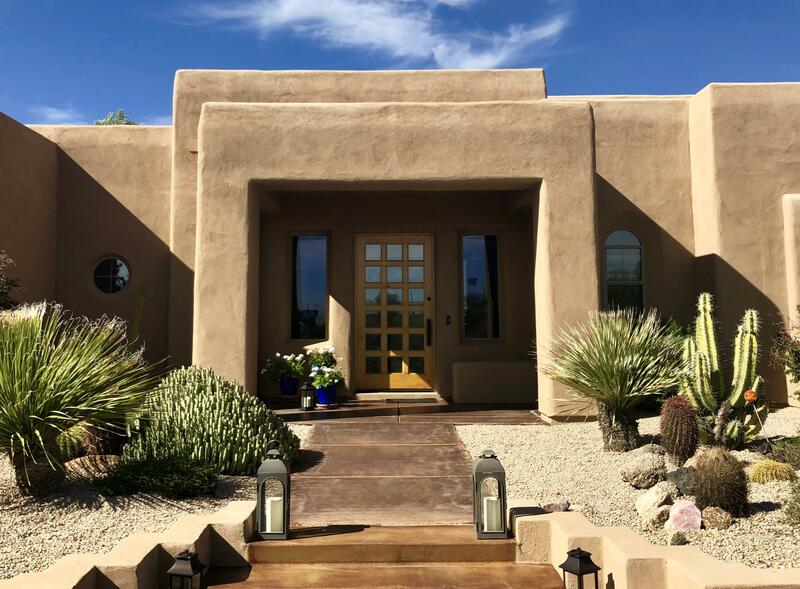 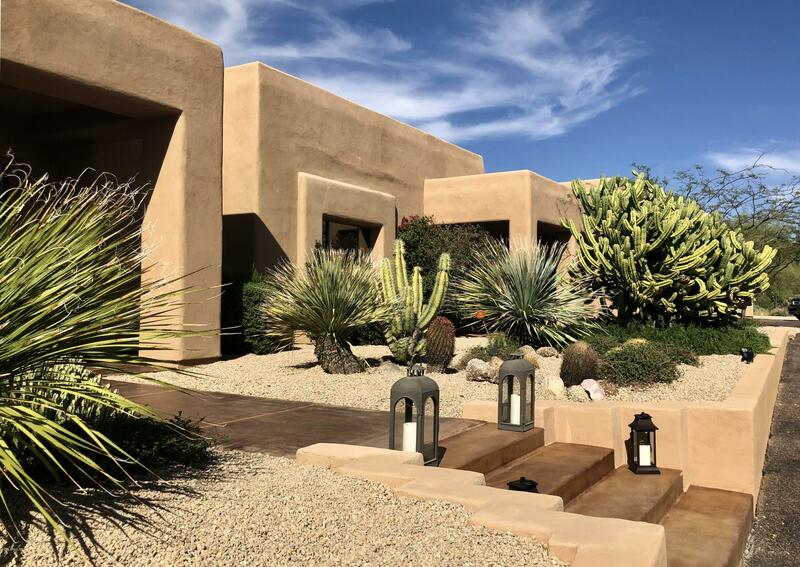 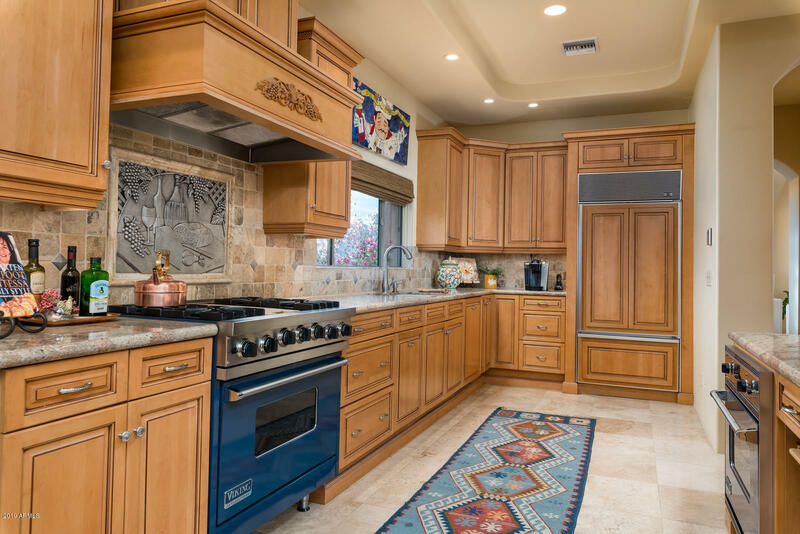 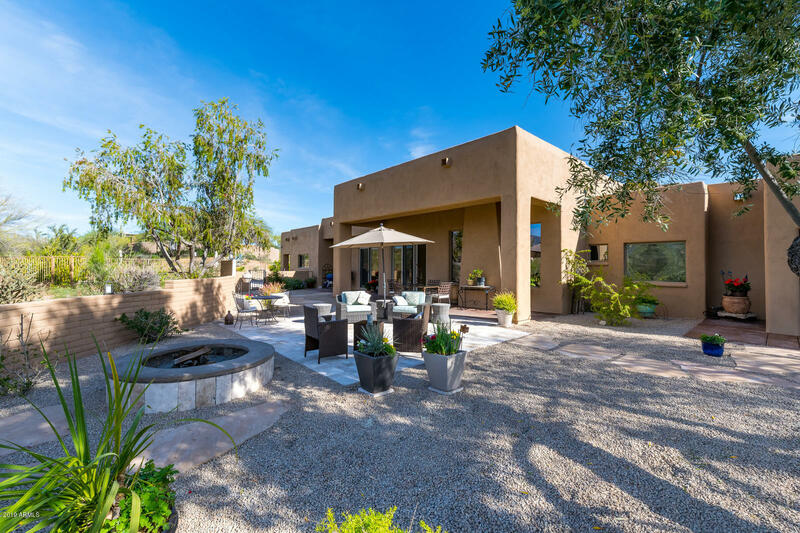 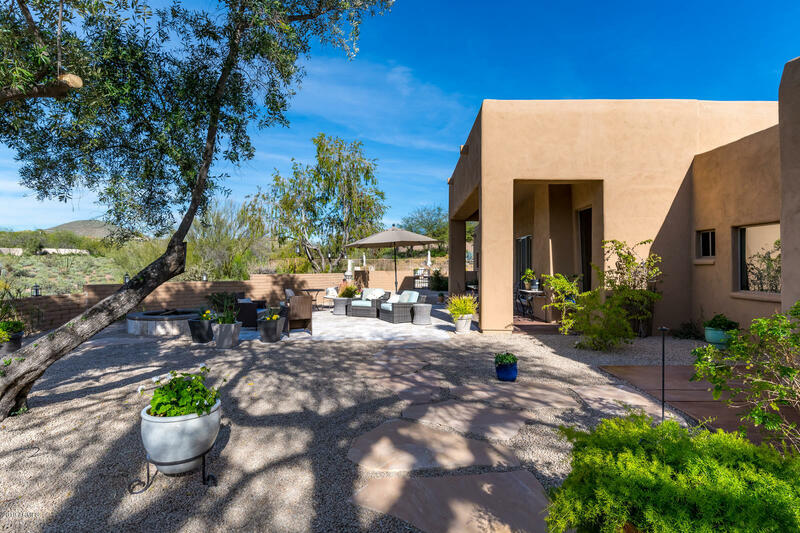 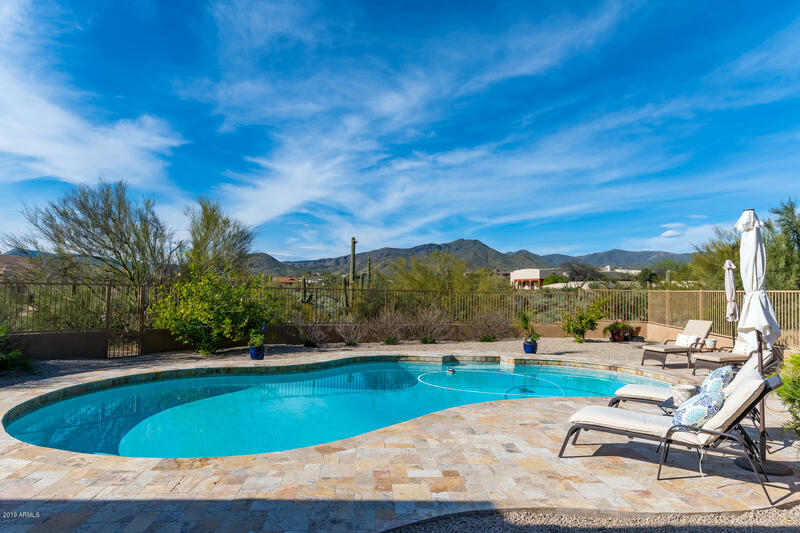 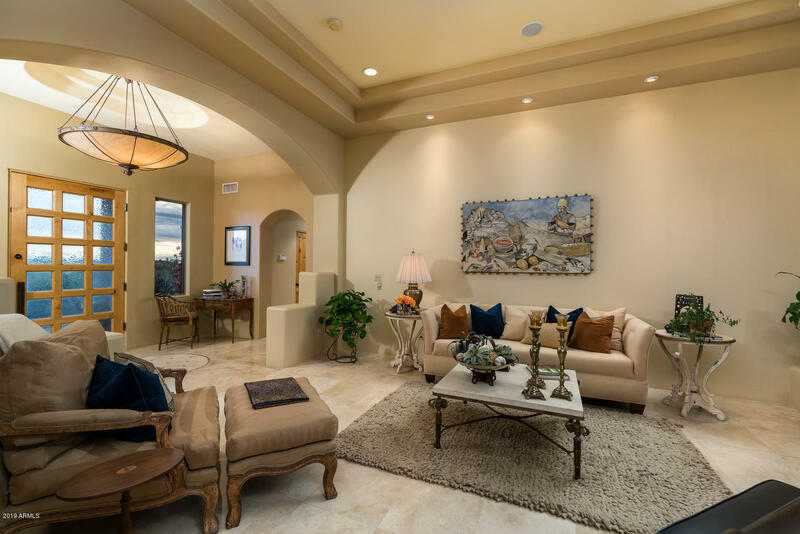 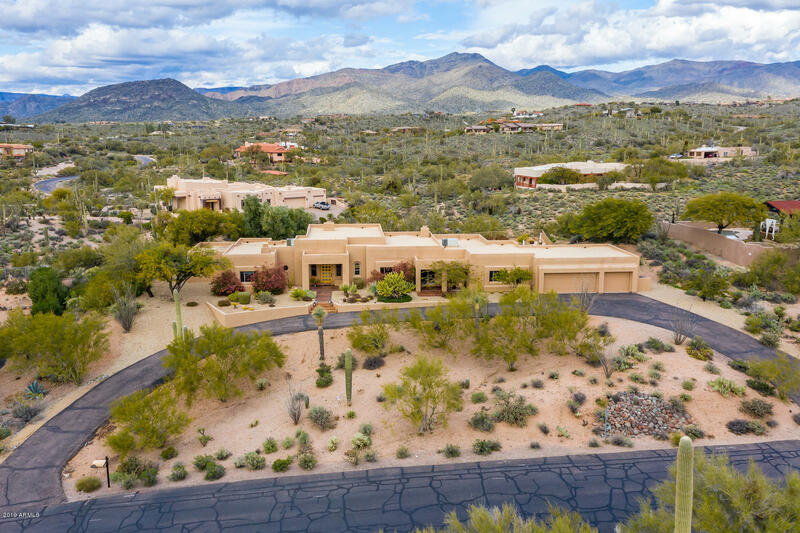 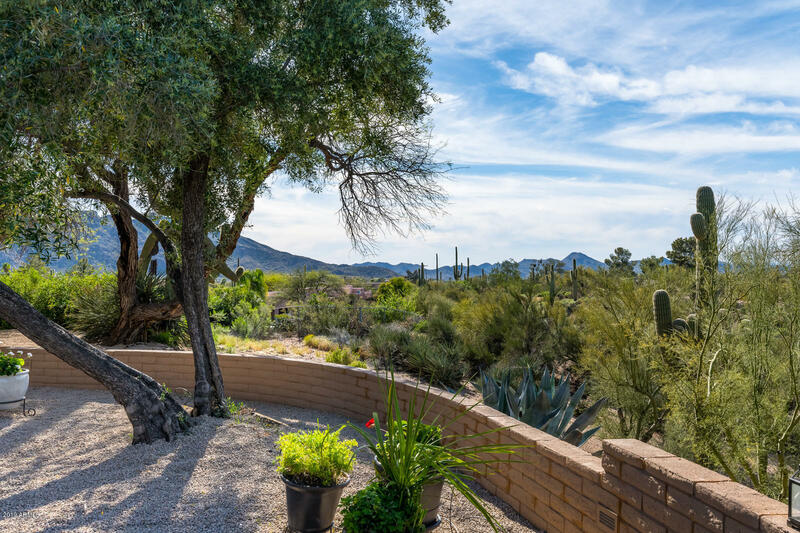 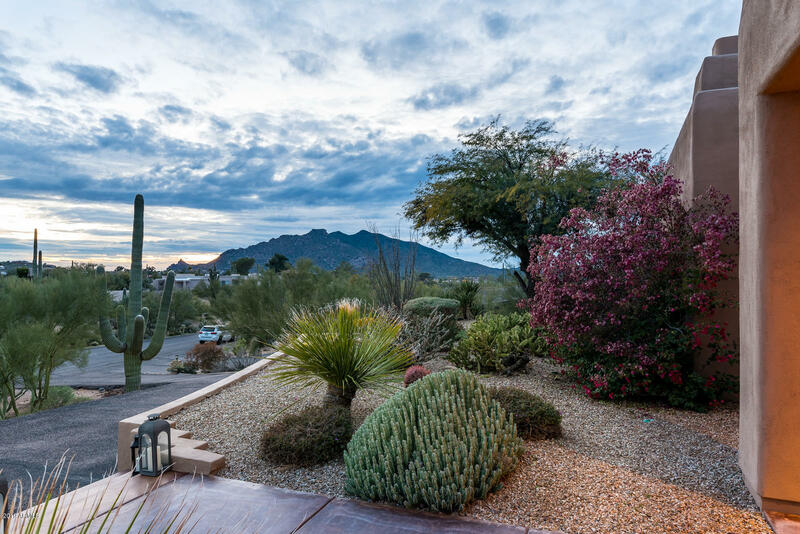 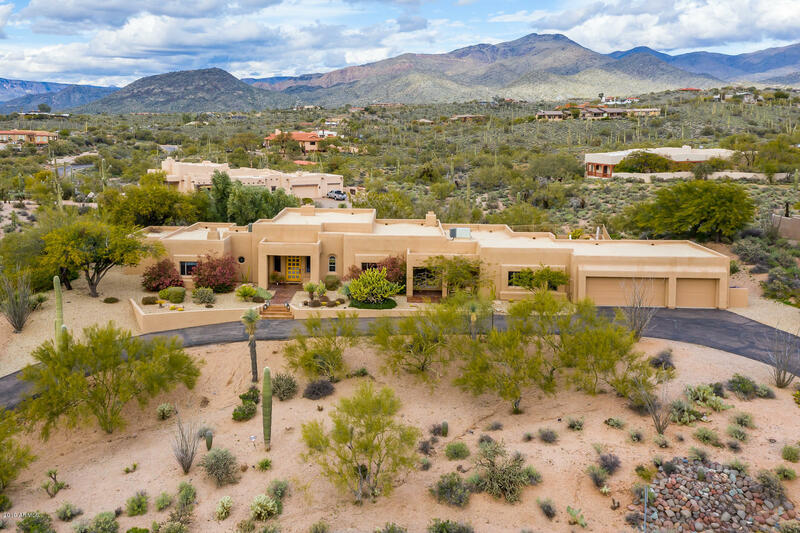 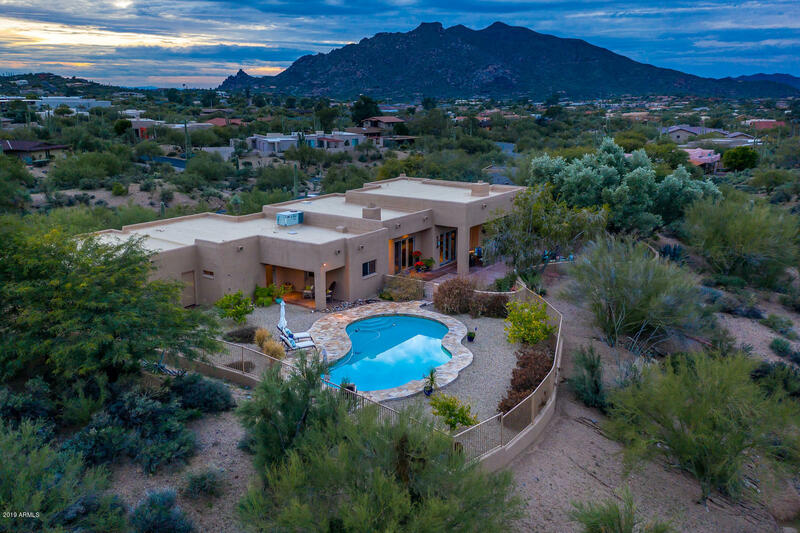 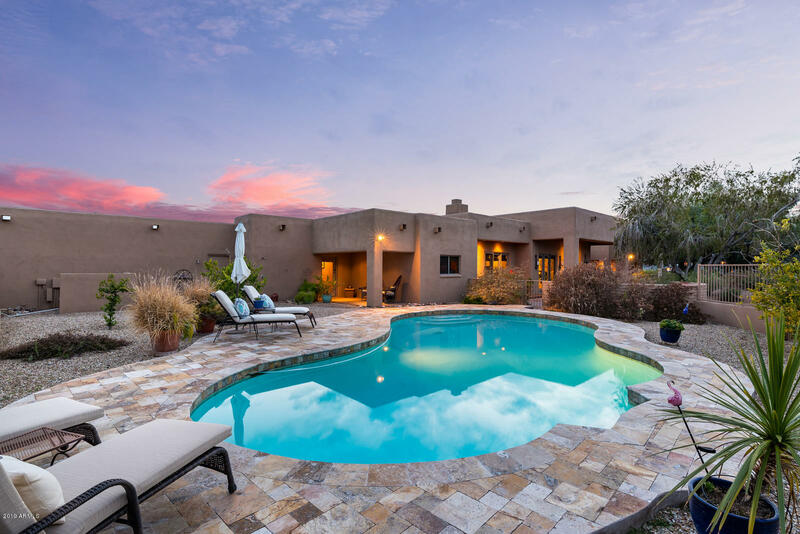 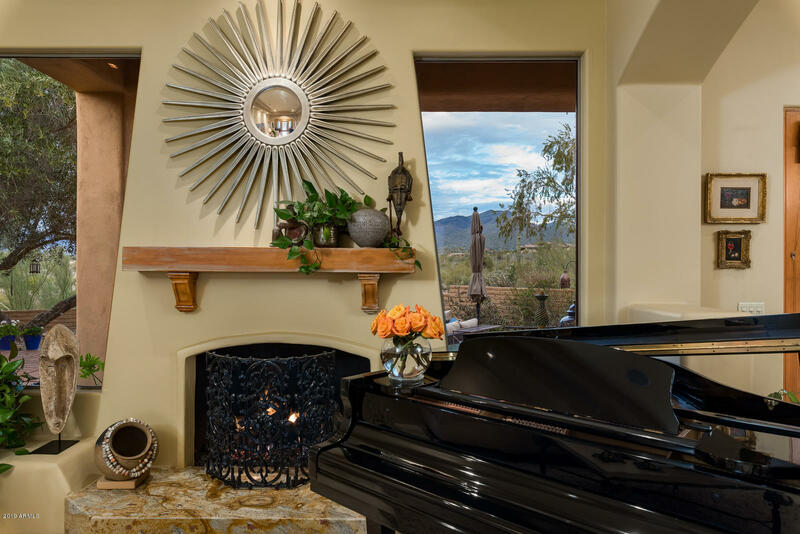 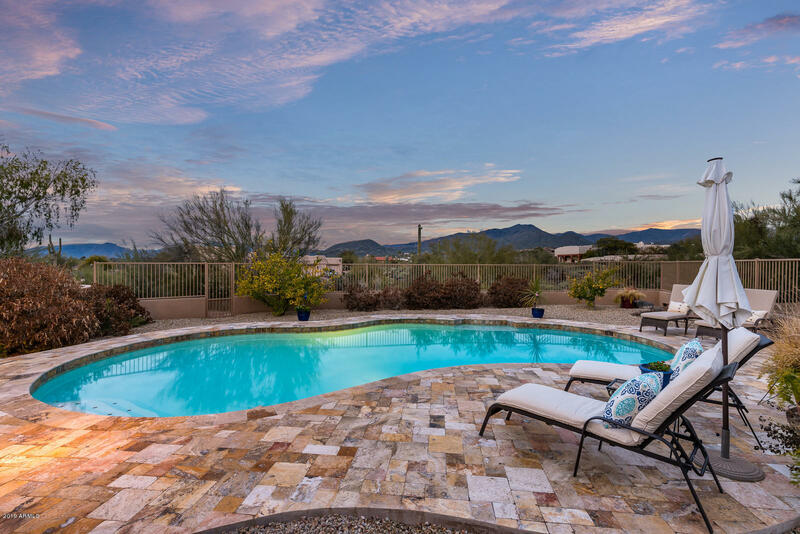 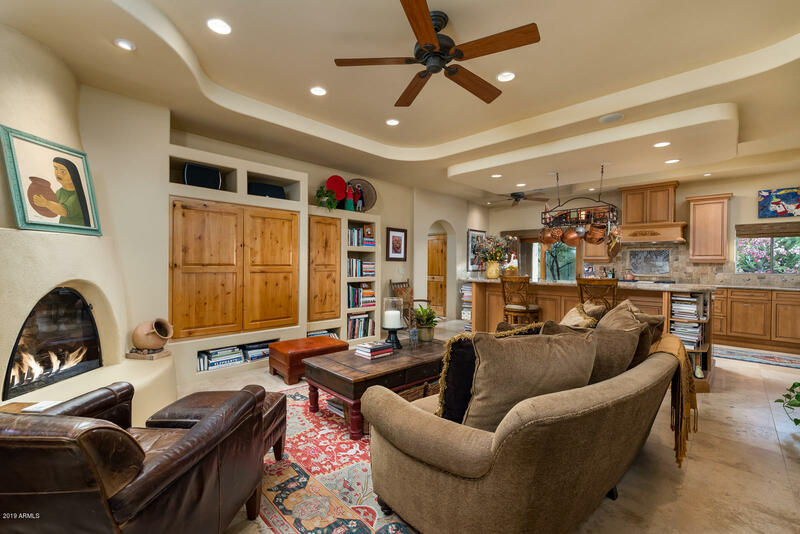 Peaceful & 'serene' located just minutes from the heart of downtown Carefree & Cave Creek. 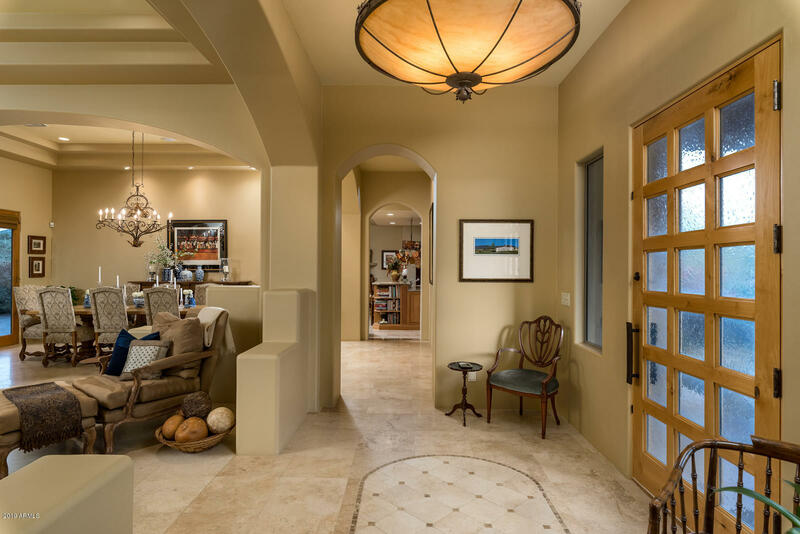 Light and bright interior spaces.